How do I get more traffic to my website? How can you attract more visitors to your company’s website? The 5 on-page changes we share here dramatically increased our B2B client’s traffic. In fact, it raised traffic from on an average week from 2,625 visits per week to 9,924 visits per week and growing. Recent weeks saw 12,000 visits. That’s a 278% in real, average weekly traffic to the site. The same SEO tactics we used can be used on your website, regardless of your niche or business size. We recently had an international B2B client in the energy sector that presented the perfect case study for applying on-page search engine optimization (the five tactics shared here). We had the perfect experiment to see if these changes would increase their traffic. This client already had us performing off-page SEO on their previous site while we built their new site. Thus, the only thing that changed was the on the on-page changes listed in this article (granted we vastly improved the appearance of the page). It is the only variant that changed recently. The off-site SEO efforts remained exactly as they had before the new version of the site launched. You can harness this knowledge to increase your traffic, too! Here is what we learned from the case study that made the biggest difference. These are all on-page efforts, meaning that if you want to make them, you won’t have to touch anything but your site itself. In each section, we share how we did it and how you can do it on your own site. Of course, at any point in the process you think, “I know I need to do this but don’t want to take the time to do it myself,” just call us at 817-889-1487. 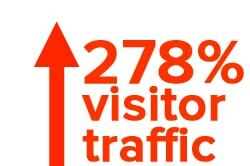 We’ll get your entire website optimized and get you more traffic like this client. Key to growing traffic is for people to find your site when they search. And the key to that is to unconfuse the search engines about what your site is really about. Rank on the terms they are actually using (your major keywords). Draw them into your site for an extended visit. This increases your chances of converting visitor traffic to real customers and clients. The client’s previous website was not organized well. It used a layout model that we, unfortunately, see about 80-90% of the sites we are asked to do on-page SEO on use. All the products were listed on a single product page regardless of if they were in a certain line or not. This page was housed at companyname.com/products/). The page was even titled generically as products. This wasn’t helping them get found online. Sometimes we see sites take this one step farther but it’s still not ideal. For this client, the product lines of PDC Bits and Downhole Tools are the terms MOST SEARCHED by users looking for a solution. We know this because our keyword research showed us these are the highest volume of monthly searches on given terms related to their products. The previous website did nothing to reinforce this search term in its structure. The site wasn’t screaming to Google the technologies we sell are PDC bits and downhole tools. We changed this where each of the two Product Lines got its own major page. We made sure the title of the first Product Line page was PDC bits and the other was Downhole Tools. Then each product got a full page under the existing product line page. Each product page linked back to its main Product Line page. We call this process site siloing. It presents your site to the search engines much like a well-outlined research paper you wrote in high-school–thesis, main-points, sub-points. Google will give you an A+. You can see how well your site is organized by following the instructions in the video below. Are things thoughtfully grouped or haphazardly grouped? 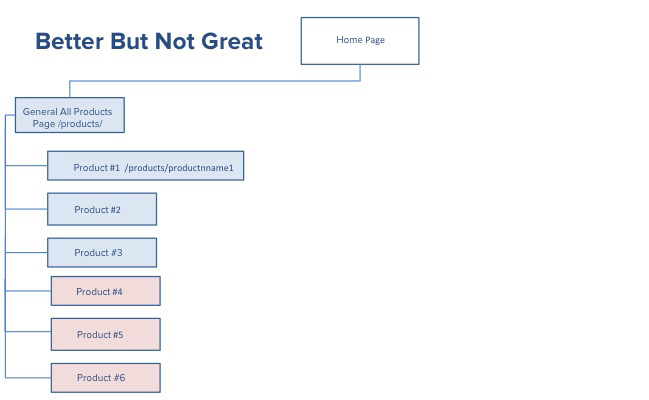 Is everything a top-level page or is there some kind of hierarchy of the page? Are the most important keyword informed pages (most frequently searched) closest to the top level of the site? Can you create a Product Line Page or Service Line Page to get it to rank for the major service keyword on which you most need to rank? 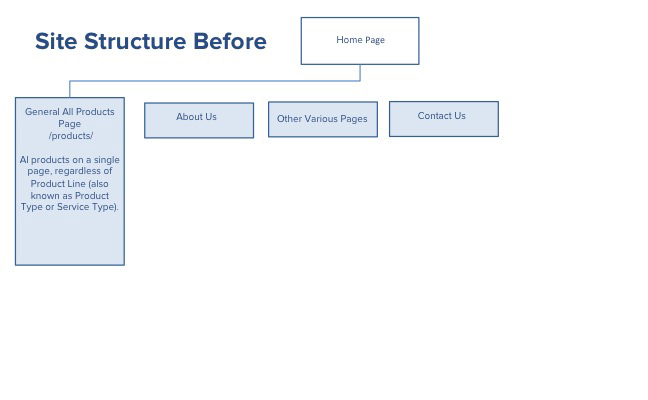 Where needed, do a simplified re-organization by using pages and parent pages if your site is in WordPress. For example, if you have multiple services that are related and can be grouped together under a high volume search term, do it. Of course, we are available to help you complete this entire re-organization process. The search engines are now smart enough to read the actual words on each page of your website. They scan the page and see how all the words on the page are related. The fancy term for this relationship of the words is called semantic relevance. 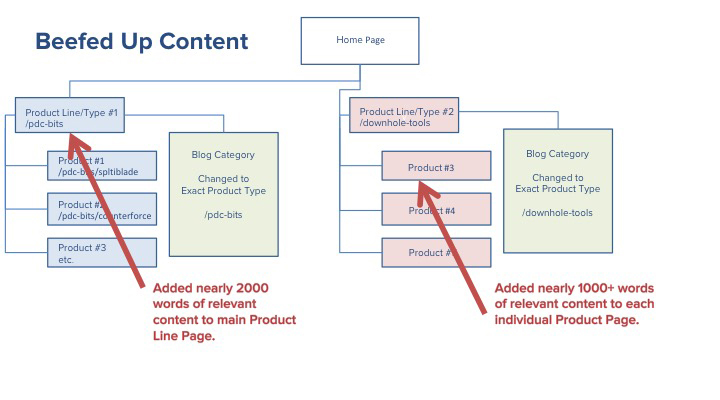 The previous site page had very little actual content reinforcing the major keywords on the single product page. On the main Product Line pages we created, we increased the amount of content to 2,000 plus words and used our SEO copywriting process to ensure that copy was best optimized for both user conversion and the search engine’s to love it. Each product got its own page jumping the word count for that product from about 50 words to over 1,000 words per product. An accordion looks like this. Look at your website’s pages for your service or products. Does any page have thin content you could increase? Your blog is one of your most powerful traffic attractors. It can bring in hundreds or thousands of new visitors. 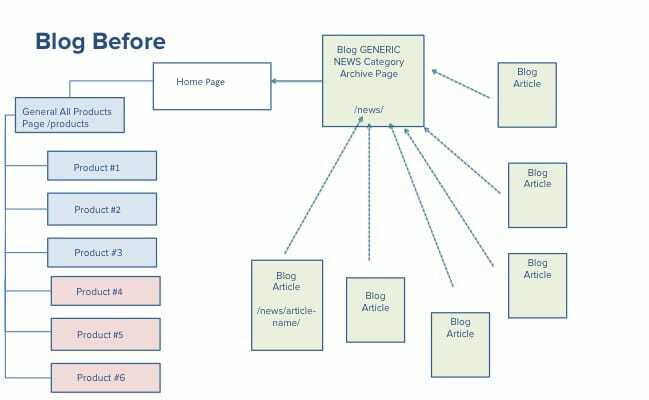 We fully optimized this client’s blog structure. Before we made changes, the site’s blog was called News. That was the page title. Not only that, they had placed everything into the major category called News as well. That’s fine if you want to rank on the word News, but most companies don’t need to rank on that term. 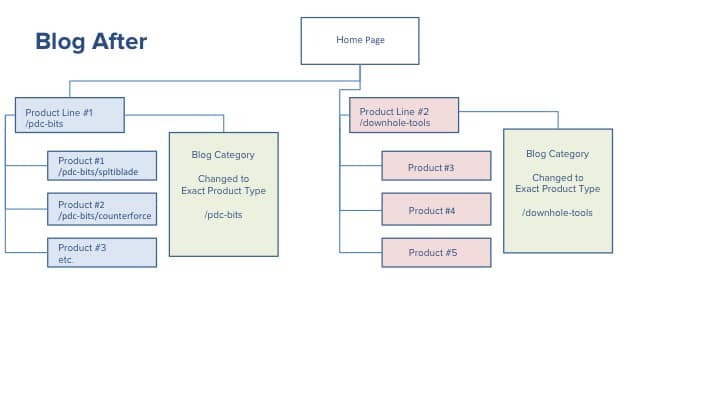 1) Category 1 = Product Line page exact match category called PDC Bits. 2) Category 2 – Product Line page exact match category called Downhole Tools. 3) Category 3 – A place for their company news called Drilling Technology News (since that is also a major keyword that we knew would draw traffic) and a sub-category called [Company Name] Press Releases. 4) Category 4- A more generic, catchall category called Oil & Gas News. First, click into your blog archive page. This will be the link on your site that usually says blog or news, etc. It’s a page where you should see all your blog articles in sequence with the newest first. Are you using generic terms like Blog? At least change the page title to something akin to what you do like Commercial Landscaping Blog or Human Resources Software News. Next look at your categories. Do they best match the keywords people are using to search for the service or product solution you offer? Hint: They should match your services and/or products pages. For example, each of our service pages has a matching category on our blog– web designer, SEO, social media marketing, copywriting, graphic designer, etc. Create a category named after the keyword that most people use to find you. (We can help you find that keyword). Edit each blog post you’ve written and put it in the best category. If you have a popular blog that has a lot of links to it already, remember to apply a redirect so that the old URL name passes credit to the new-category named URL it will now have. (Again, we can help you with this). Each new article you write, assign it to the best matching category. You know how you do a search on a topic and often Wikipedia falls at the very top so often? What does this interlinking do? This creates a massive web on your site like Wikipedia. The search engines crawl these links and can then see how much content your site has related to a given keyword. And ultimately the entire piece of this web and all the traffic it brings is pointed back to our Product Line page. This allows the site to rank #1 on several highly competitive terms that get tons of traffic. That gets your site more traffic as folks use these frequently searched phrases in their own search. The more expertise you present, the more traffic you will get. We deeply interlinked the site. We made sure every Product Page linked to the appropriate Product Line page. We also went through all the blogs. Within a given category, we made sure the article had a link to Product Line page it fell under. If a specific product was referenced, we linked that product name in the blog to the product page. If we were using a specific blog article to attempt to get traffic for a longer phrase (example: Permian Basin improved Rate of Penetration), we call it an anchor blog. In other words, that is the piece of content we are currently ranking best on for that term. We then linked that phrase every time it was mentioned in any other blog in that category to the anchor blog. So any blog in the PDC Bit category that contains the phrase Permian Basin improved Rate of Penetration or synonyms like Permian Basin ROP links to the anchor blog. You’ll need to create a spreadsheet. Column Four is the keywords you are targeting with each blog (URL of the individual blog). What Service Type or Product Line page can this support? As you write the article, make sure you manually link to the page from somewhere in the article on a keyword phrase that best matches the page you are linking to. What Product or Service does this support (if it does)? If it does, link to that specific product or service page in the blog using the product name keyword or service name keyword. Does this blog article contain or can I have it contain any of the long-tail-keyword-phrases I used in an anchor blog? Is the potential anchor blog in the same category as my current blog? 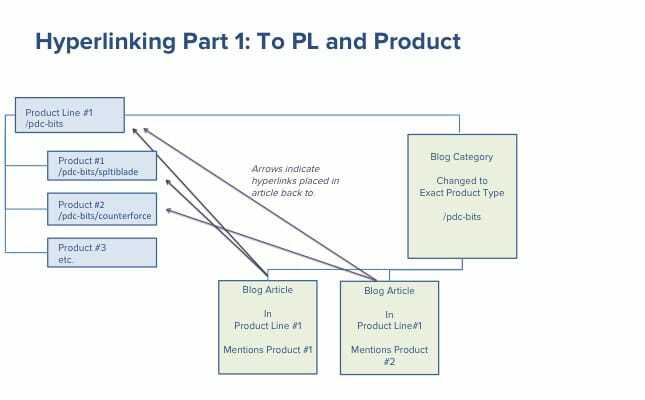 If the answer to that second question is no, do not link the current blog to the anchor blog because you’ll be bleeding your clean content silo. If the answer is yes, link from the current blog to the blog that is the anchor blog for that keyword, and there is an exact match or near match occurrence of the anchor blog’s keyword phrase you can use in your current blog, link your current blog to the anchor blog. In the example spreadsheet above, if the words adolescent poodle were used in the Calm Down Your Poodle blog, we’d link the words adolescent poodle when they first occur in the Calm Down blog to the Nutritional Considerations for Adolescent Poodle blog. We’d do this because BOTH blogs are in same Organic Poodle Food category. 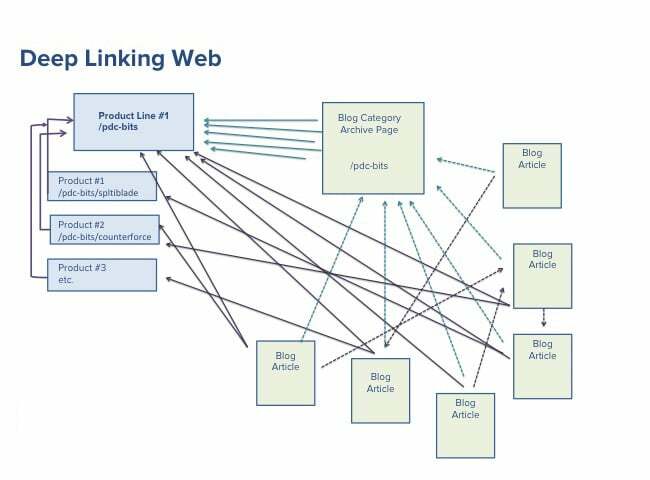 Interlinking is SUPER powerful, but as you can see, without a tool to automate this, the process can get convoluted and even nightmarish in scope if you are generating content at the rate you should be. What if we told you, you can 100% automate ALL of this interlinking. Here is all you have to do in the plug-in we install. By doing this, your site will be a massive web of intertwined content the search engines love. 05. Create a “Series” Out Of Related Articles (Or an Actual Series). Google and other search engines love longer content. This is becoming more and more true. It rewards this long-form content in terms of higher rankings. And remember higher rankings means more people find you, which means more traffic! What if there was a way to take your existing content and make it seem longer to the search engines? And what if there’s a way you can write a long article in shorter pieces and connect them so Google sees it as one long article? With a simple link and piece of html code you can interconnect your articles, stringing the articles into a longer series. In the technical SEO world, this is called an internal linkwheel. You’ve experienced a linkwheel hundreds of times on the web and maybe just have not known what it is called. We’ve all clicked on a site link where they’ll say “20 Ways to XYZ” and then each way is its own page and you click next at the bottom of the page to go from #20 to #19 and then again to go from #19 to #18. These short page content type linkwheels are actually kind of annoying. Why? You have to click so often, you usually spend more time waiting on each page to load than it takes to read it. Some websites do this with a see next article button, but users are typically directed to the next chronological article in the blog, not a TOPICALLY RELEVANT article. You can harness this power on articles that are related to one another but aren’t an actual series. Remember we said the search engines like longer forms of content (currently). 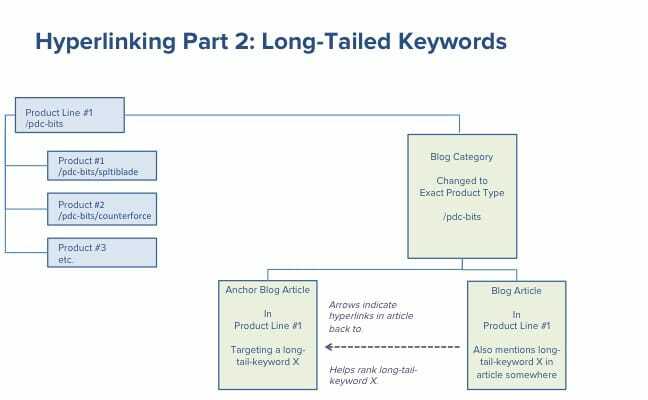 By stacking three 2,000 word articles together that are related (even if they aren’t a direct series) and using the right code, the search engines will see these articles as one MASSIVE 6,000 word expertise article that is comprehensive. The nice thing is it will still index and present each article in search as a separate listing in the search results, too. So you get both/and. Both the individual article shows up in search and the broader term which all the articles are about rank, as well. If you have 5 articles on a service or product linkwheel them together to rank on the main service keyword or product line keyword that gets tons of searches. These massive linkwheeled articles rank high on the main search term they address. They also keep people on your site longer, as they tend to read the next article in the “series” if they saw clear benefit from your current article. Every second they spend on your site is an opportunity for them to further like and trust you. 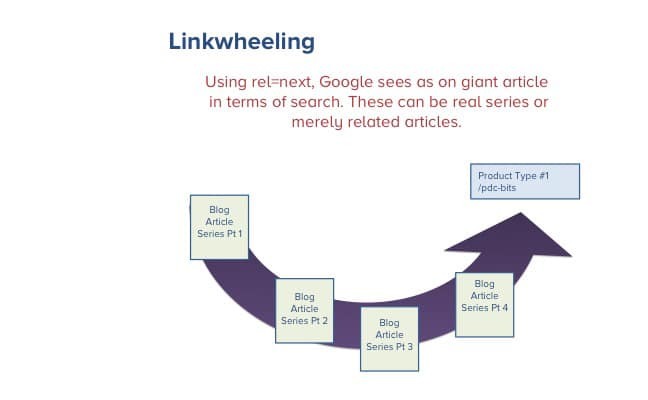 Of course, if you really DO have a part 1, part 2, part 3 article series you definitely want to linkwheel the article with both links and the code you need. We found related articles that made sense for a visitor to see in sequence and added a read next button to an article. For example, let’s say there were several articles related to vibration control in drilling. We decided on the best order for a reader to read through them and starting with article one, linked to article two and so forth. We also used a piece of code called rel=”next” function to instruct Google and other search engines to see these articles as a series. This is very important as a read next button alone doesn’t do the trick. Okay to be fair, we use a proprietary plug-in which automates about 95% of this. We’d be happy to install and optimize it on your WordPress site. It also does about 50 other awesome SEO things, too. And once we have it set up, it’s super easy for you to use. You can have almost no technical knowledge and harness all its power. 2) Enter in any longtail-keyword-phrase you are using on that specific blog that you want to target. Whether you are a small business owner and a corporate CMO, these 5 infrastructure and link changes to your blog NEED to be made to increase your visibility, traffic and, thus, customers/clients. 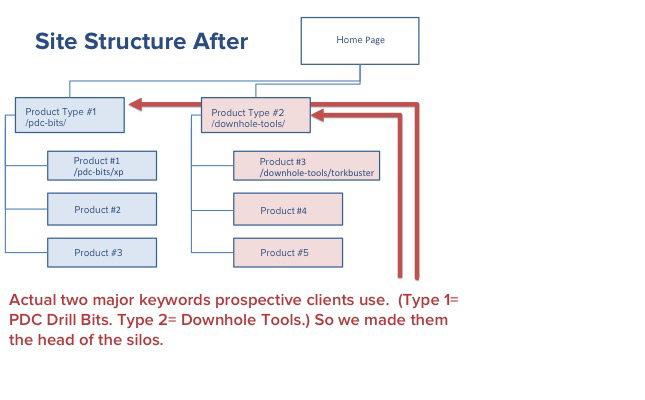 The case study client saw a 278% increase just from these on page SEO fixes. You can do them yourself if you like tinkering with your website. Or focus on running your business and let us do a full on-page optimization of your website. Allowing us to do this will leverage any future content you make the effort to create more worthwhile. 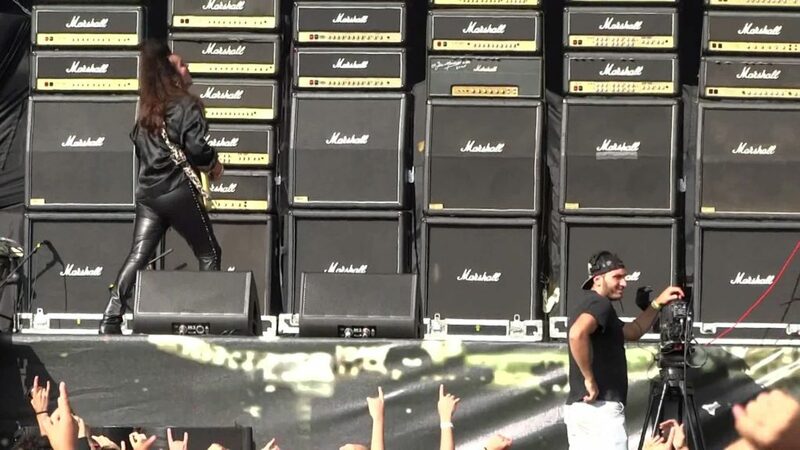 Once we optimize your site, each article or page you add to your site will be like an electric guitar plugged into a giant stack of Marshall’s amplifying it. Think about it. An electric guitar is only as loud as it’s amplifier. This is also true for your content.